A family may live in many places over the course of a lifetime. But regardless of what type of dwelling you may live in – house, condo or apartment – there is an unmistakable quality unique to each family’s home. It’s been said, “Home is Where the Heart Is”, but I’d go a step further and say, “Home is Where the Family Gathers”. It doesn’t matter whether you live in a one bedroom flat or a spacious, multi-level home, chances are your family spends the majority of their time gathered in one place. I’m not talking about the hours spent sleeping and getting ready for work or school; I’m talking about where everyone settles on a Friday evening at 6pm to celebrate the end of a hard week. Or perhaps where you find all the members of your family hanging out on a lazy Sunday afternoon. Over the course of my lifetime, I’ve lived in dwellings anywhere from 500 to 3200 square feet. In fact, at one point during our marriage, we felt guilty we were raising our kids in an apartment without a backyard to frolic in, so we moved to the suburbs. Even with over half an acre of land and over 3000 square feet that included a loft area just for the kids, everyone ended up gathering around the kitchen island every night. With this in mind, we eventually downsized to the house we’re in now. We worried that the smaller rooms would affect where we gathered, but a new couch quickly solved that dilemma. We were intentional about crafting a space where everyone could be comfy simultaneously (no more fighting over ‘the good spot’ on the couch) and I love knowing exactly where my family is going to settle every Friday night with pizza and a movie from the library. 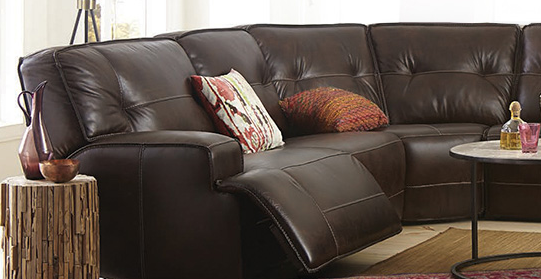 For us, this meant finding the perfect sectional couch with a ottoman wide enough for everyone to put their feet up. For you, that might mean finding just the right amount of barstools that are just the right height and width for everyone to gather around the kitchen island. Whatever that looks like in your family, hear one thing: allow every member of your family a voice in not just choosing that space, but helping to decorate that space. That way it’s not only a comfortable spot for everyone to gather, it’s a peaceful one too. 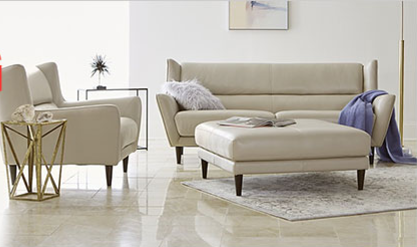 If you’re looking for a centerpiece for your family gathering spot, why not check out the Macy’s Furniture Sale where you can take an extra 10% off everything from sofas to rugs?